Style 5106 is a sleeveless dress with a scoop neckline. 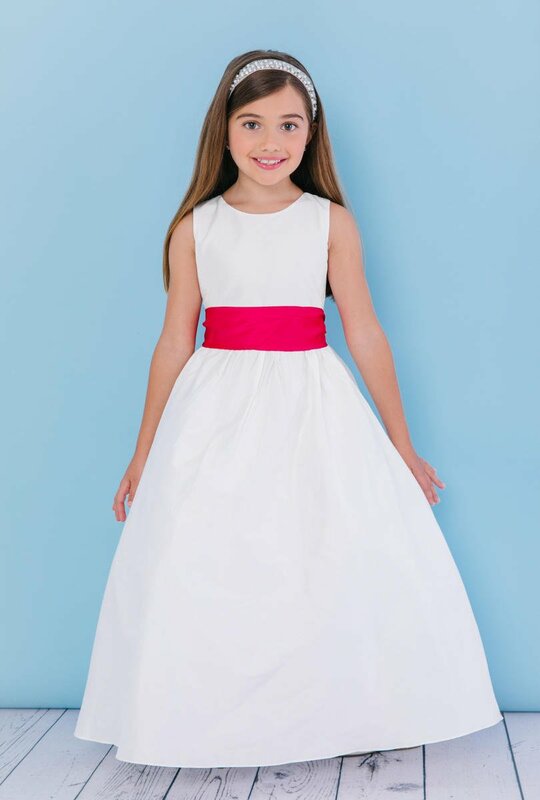 The natural waist is accented with a dupioni silk sash with self-tying streamers. Silk buttons cover the zipper. Dress is available in natural silk. Silk Sash colors include natural, champagne, silver, lemonade, pink, dusty rose, fuschia, coral, tangerine, sage, celedon, blue, royal, navy, turquoise, teal, lavender, victorian plum, red, claret, wine, cinnamon, sable, and black.